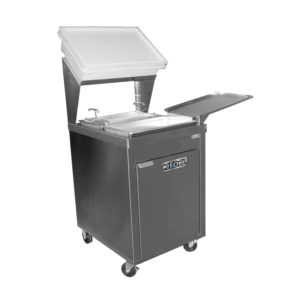 KitDel BBS-EC1-L3625 Automatic Breading table ‐ Bread and Batter Table (compact model) with automatic sifter unit and casters. Includes 8″ deep s/s full size pan w/hole & plug, 8″ s/s full sizepan and batterbasket. 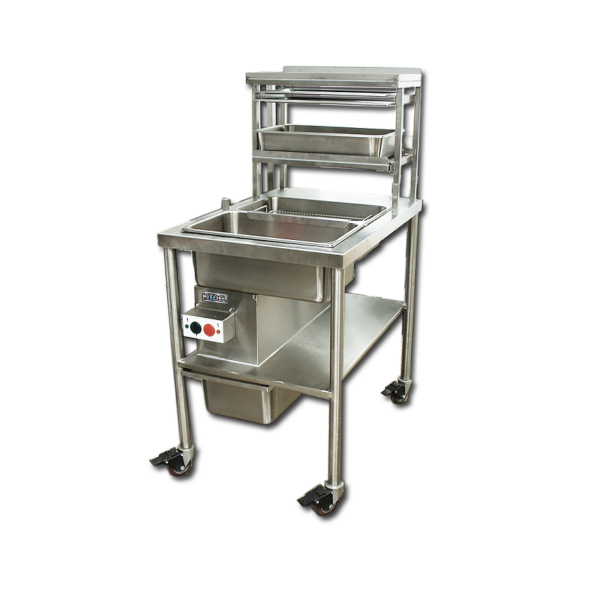 KitDel BBS-EC1-L3625 bread and Batter Table (compact model) with automatic sifter unit and casters. 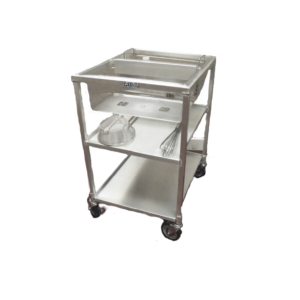 Includes 8″ deep s/s full size pan w/hole & plug, 8″ s/s full size pan and batter basket, 6″ deep s/s full size pan, 1/3 size s/s dough ball pan, 4″ deep s/s full size pan, two full size s/s lids, pan divider bar and drip cap.